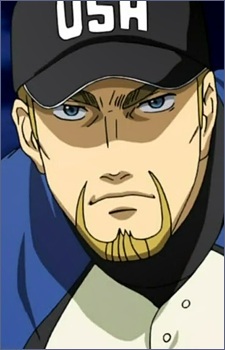 Joe Gibson is the star major league player from the US. The incident with Gorou's father, Honda Shigeharu, remained a heavy cross weighed upon him, driving him to remain one of the top pitchers in the MLB, so that Honda, by comparison, would be an even greater player. He continued pitching after the age of 40, and earning over 300 wins. For the Baseball World Cup, he was Team USA's ace pitcher, although at that time he was diagnosed with angina pectoris, and the doctor warned he might die if he continue pitching. However, Gibson may feel that dying on the mound pitching his best would be the only way to truly make up to Gorou, Momoko, and even Honda.